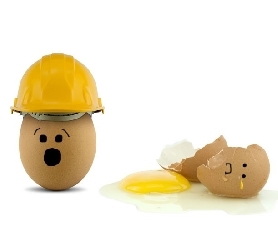 Our goal is to take action and control hazards before injuries occur but sometimes accidents happen. If you are injured at work it is important to follow the process below. This ensures the incident is properly reported and managed and claims can be processed quickly. Use the Injury Hotline to report your injury or illness to a member of the Health and Safety Team as soon as practicable. 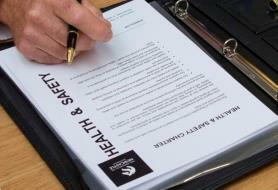 The Health and Safety Team will explain the Injury Management Process and Workers Compensation Process if applicable. You need to notify your supervisor either verbally or via email that you have sustained a work related injury or illness. The Online Incident report form. 4. Seek medical attention where required. If the injury needs treatment, seek medical attention and ensure you advise the treatment provider that it is a work related injury and get a WorkCover Certificate of Capacity. This, and any referrals, should be sent to the Health and Safety Team as soon as possible. They can be faxed to 4921 5935. If you are injured or develop an illness through the course of your employment and your work is determined to be a substantial contributing factor to your injury or illness, under the Workplace Injury Management and Workers Compensation Act 1998 and the Workers Compensation Regulation 2010 you may be eligible to receive workers compensation benefits o the injury. Our workers compensation insurer is Employers Mutual Limited, and the policy number is W85133016. Full definitions are available from iCare. The University of Newcastle (UON) is committed to providing a safe and healthy place to work and study.